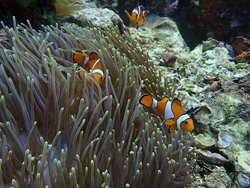 Tours from Sea Bees Diving - Chalong tend to sell out - travelers recommend booking in advance! Thank you Fabio for the Booking we all had a Great day and much fun with the Sea-bees team. 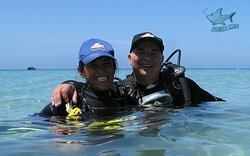 Thanks Paige for the snorkeltrip with My Family and Thanks John for the "privat" dive master. We Hope to see u again. 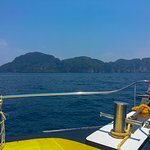 For my holidays of this year I decided to visit Phuket. I had the chance to try diving experience for the first time. Fabio took good care and I had great time. Looking for come back soon. As travel bloggers we do a ton of research before finally picking our tour companies. 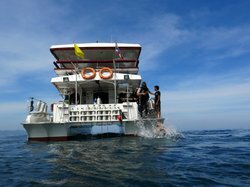 We came across Sea Bees offering a 4 dive trip on Sundays. We figured we traveled all this way for the diving that we better do the 4 dives. It was a great day and this dive shop is top tier. They take care of you all day and we’re able to accommodate my wife’s gluten allergy for all our meals. Our friends needed a refresher course but they were able to accommodate that and let us dive with them. I’d definitely book this group again. Thanks for a great day diving! 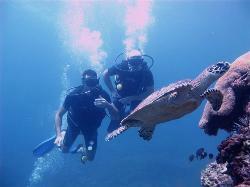 During my holiday in Thailand I have been dive in Phuket. I'm really happy, I think I will came back. Thanks Fabio for the nice dives. We even spotted a few stingrays and a Manta ray. The dives were absolutely awesome! Richelieu rock is such an amazing place to dive! 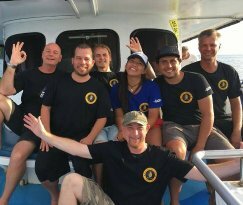 Special thanks to Stefan Walthery, our dive instructor, for taking good care of us. He knows his dives very well and he's a fun guy to hang around with. Thanks to the Thai crew (especially the cook "Chef") for making our stay so nice! Oh, the food on the boat is amazing! Highly recommended!! 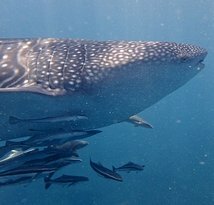 We booked both the Similan South and North tour with Sea Bees. We had a great time on both tours. However North tour is the best! Nurse Shark, Jenkins Stingray, Giant Barracuda’s,... even a whale shark and Manta rays are possible in the Similans... our dive guide and tour leader mr. Stefan Walthery did a fantastic job. Also a big shout out to the crew and the coock “chef” for taking such good care and the great food!